Located 3200km south from Buenos Aires, initially established as a penal colony and later as a free-tax town which allowed the opening of several electronic assembler companies, Ushuaia has gradually changed during the decades to be considered today one of the most important tourist destinations in the country. Considering Ushuaia as the most charming city in Patagonia is an indisputable fact, not only because of its settings given by the Beagle Channel by one side, the snowcapped peaks of the Andes Range with hanging glaciers as a background and the woods acting as border; but also because of the great quality in accommodation and gastronomy infrastructure, most of it owned by families who provide a incredible good local taste. 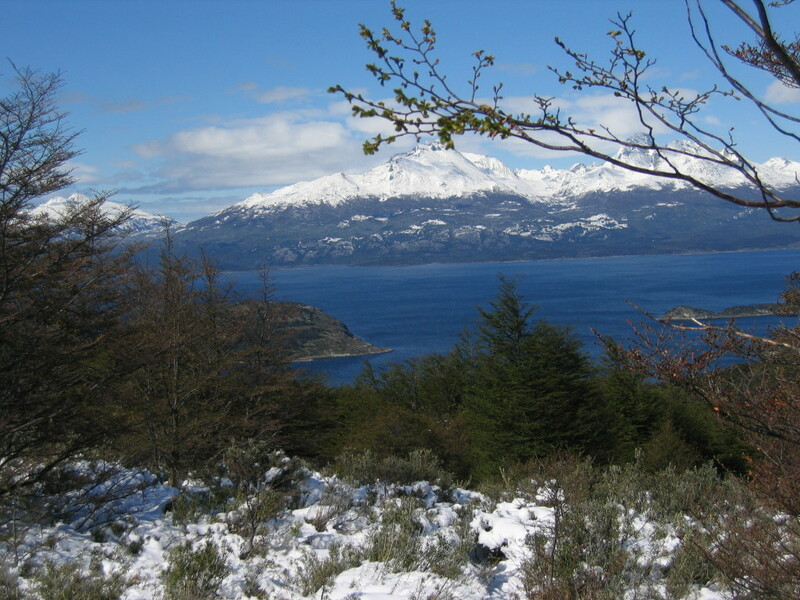 Cold is what characterizes Ushuaia, finding different variations of it depending on the season, usually with nights with temperatures below zero. During the ends of fall, winter and begB&B/Innings of spring snowfalls are common which allows winter sport activity. Even rainfall can be found during the whole year. Ushuaia can be visited all year round to enjoy any of the traditional tours, but will depend on the season the available specialized activities. If you are planning to do some trekking, ends of spring and summer is the best time; great solar amplitude during the months of October to April allows enjoying more outdoors activities. If you style is skiing, snowboarding or any other winter sport, choose the months from June to August. We leave the local pier towards Alicia Island, where we find a sea lions’ colony. Afterwards, we sail to De los Pájaros Island, inhabited by Royal and Imperial Cormorants. From there, we sail to De los Lobos Island, where we can find specimens of sea lions with one and two hairs, and we finally reach Les Eclaireurs Lighthouse, which was built in 1929. On our way back, we disembark on one of the Bridges Isles to go on a stroll down a path where flora and birds are interpreted, and the story of the Yamana people is told as well. It is important to point out that we can find the biggest Yamana’s “concheros” (shelly deposits) of the area on the island. And on our way back to Ushuaia, we have some tea, coffee with liqueur, some cookies and, of course, the traditional Argentine mate.